I feel like a lot of us, parents, are pretty conscious of how much sugar we’re giving to our little ones, but what about their sodium intake? Oftentimes salt and sodium are used interchangeably, but they are not the same thing. When people say they are cutting back on salt intake, what they really mean is that they are watching out for how much sodium they consume. 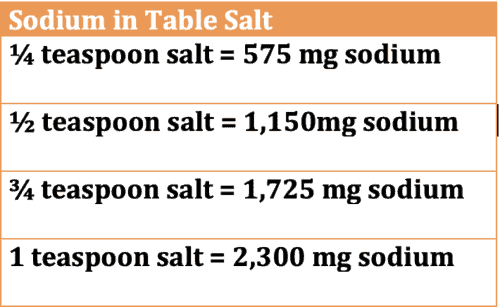 Table salt that we eat is made up of sodium (40%) and chloride (60%). We definitely need both of these electrolytes (as well as potassium) as they help send messages along the nerves, enable muscles to contract, balance the amount of fluids in the body, enhance nutrient absorption, regulate acid-base balance, absorb potassium, and control the level of bacteria present in the stomach, to name a few. While salt is made up mostly of chloride, it’s in the high-sodium category. As you can see in the picture above, sodium is found naturally in foods as well as added to processed foods. It’s practically in every food. By focusing on consuming fresh, minimally processed whole foods, you can easily meet your body’s sodium needs. The problem is that we’re consuming way more than what’s recommended by gravitating towards packaged, processed or restaurant food. Research shows that 79% of preschoolers aged 1-3 years consume more than the recommended amount of sodium each day. Sodium intake is related to high blood pressure (aka the “silent killer”), which is a major risk factor for heart disease and stroke. And as you may know, they are the leading causes of death in the United States. While you may think hypertension occurs only in adults, children are not immune from it (source). And what’s concerning is that high blood pressure in children has been shown to track into adulthood. High sodium intake also can impact bone health. Studies show a positive correlation between salt intake and calcium excretion, resulting in a reduced peak bone mass. This is concerning as bone mass attained in childhood has a great impact on lifelong skeletal health. Also, studies show that babies are born with innate preferences for sweet and salty flavors. Sweet and salty foods are highly palatable and and elicit a highly rewarding experience. it is no wonder that your child are more likely to choose sodium-rich foods like pizza and chips over vegetables and other whole foods. All this to say, what our children eat now can have an incredibly profound effect on their health later in life. 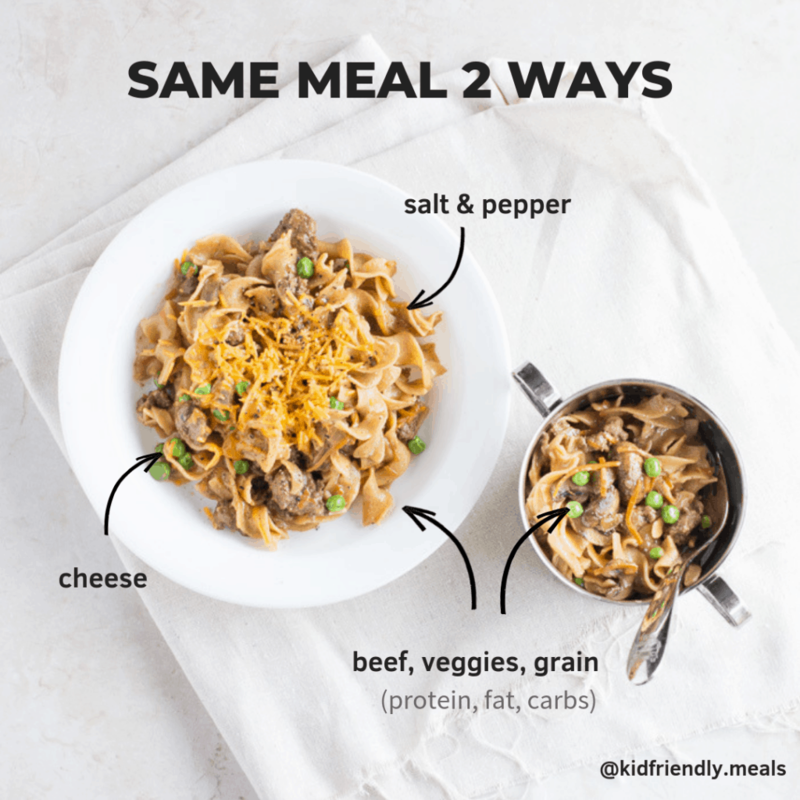 Reducing sodium intake as much as possible in our children’s diet can help prevent many diseases tomorrow and can help them make healthy food choices throughout lifetime. I personally prefer and am following the recommendations from the latter. For those under 1 year of age, a baby’s kidneys cannot metabolize more than 400 mg of sodium a day. That’s a really small amount. Not to mention there’s some sodium in breastmilk and formula. The best thing you can do is to not add salt when cooking and keep track of the foods that contains sodium (e.g. bread, yogurt, cheese, etc.). You don’t want to completely avoid offering these foods because you want to expose your baby to a wide variety of foods but do be mindful. Focus on serving whole foods and limiting processed foods. And if you’re taking the self-feeding approach, know that a lot of the food will end up everywhere else but inside their little mouths so I wouldn’t worry too much. Choose fresh whole foods, such as fruits and vegetables, fresh meat, fish and poultry. Don’t go to the groceries hungry and shop the perimeter as so many temptations lurk in the aisles. Don’t be fooled. sea salt and kosher salt contain the same amount of sodium as table salt. Limit dining out but when you do, try to enjoy the experience of being out with the family rather than worrying. Perhaps pack something from home so that you can offer that alongside the restaurant meals. You can always ask to have no salt added to your food, if possible or look for low-sodium options. Also ask for dressings and sides on the side. In other words, don’t be afraid to ask! Don’t worry too much if your child has more on some days. It’s all about overall balance. You can also prepare a meal without using table salt, set aside a portion for your child, and season to taste for the rest of the family. That way, you can make ONE meal for the entire family. My e-cookbooks are filled with low-sodium yet flavorful snacks and meals that everyone in your family will enjoy! If interested, click here. Don’t be surprised if you find yourself reaching less and less for the salt shaker. I’ve found that as a result of watching my little one’s sodium intake, my tastebuds changed as well! Thank you so much for stopping by! 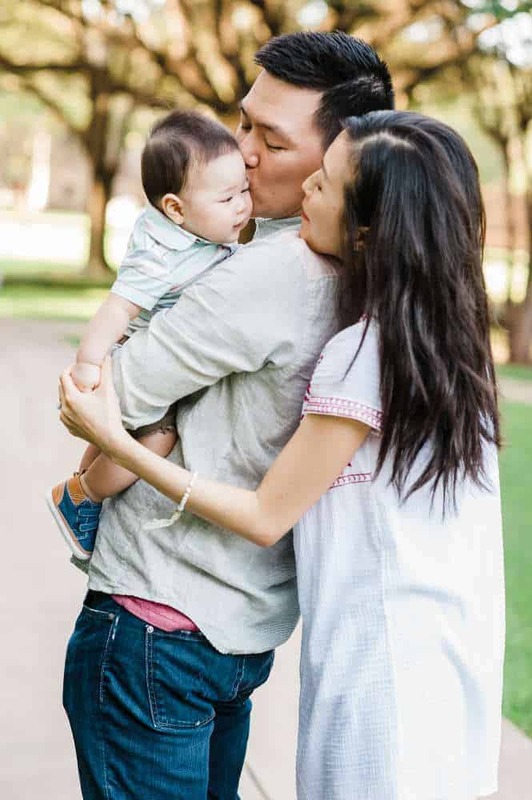 I am Min, a Registered Dietitian, a Christ follower, a wife, and a mom to our miracle baby, Caleb. Currently, I’m having a ton of fun feeding his little tummy and sharing our baby led weaning journey! Follow me on Instagram if interested in seeing daily menu as well as tips and tricks. Stay updated – join the list!